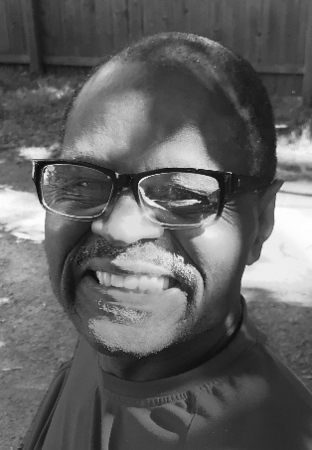 Derrell W. “Eggo” Mitchell, 59, of New Britain, Conn., entered into eternal life Friday, July 20, 2018. Derrell was born in New Britain, Conn., March 18, 1959, and was the son of Barbara (Gunn) Mitchell and the late Roy Mitchell Sr. He was a lifelong resident of the city and very well know. Derrell was employed at Peter Paul Electronics for 27 years as a supervisor. He was a graduate from NBHS Class of 1979. In addition to his loving mother, Barbara (Gunn) Mitchell, Derrell is survived by his beloved wife of 38 years, Susan (Monroe) Mitchell, his five beautiful children who were his heart, Elissa, Erika, Derrell Mitchell Jr., (DJ) Dwayne and Ashley Mitchell, who are all born and raised in New Britain, Conn. Derrell also leaves two brothers, Roy Mitchell Jr., and Dale Mitchell, his sister, Deborah Pope of New Britain, Conn. Derrell leaves behind 11 grandchildren who absolutely loved their papa. Surviving are also two aunts and one uncle and a host of nieces, nephews, cousins and friends. Derrell was predeceased by his two brothers, Larry “Sugarbear” and Keith Mitchell and one granddaughter, Za’niyah Faith Brooks. Derrell will truly be missed by all. He was loved by every single person that came in contact with him. He was one of a kind, a true man’s man! Posted in New Britain Herald, on Monday, 23 July 2018 20:16. Updated: Monday, 23 July 2018 20:18.